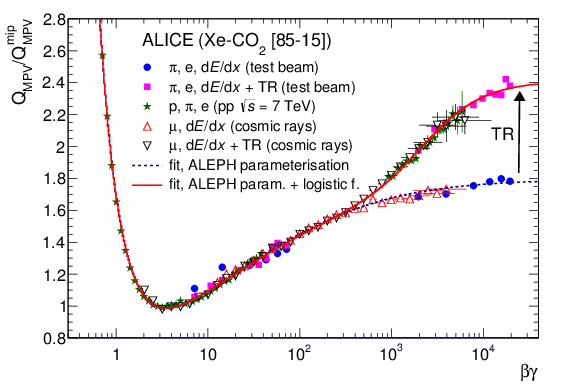 Relative average ionization energy (dE/dx) and transition radiation (TR) in the TRD of ALICE as a function of beta*gamma (from our comprehensive paper The ALICE Transition Radiation Detector: construction, operation, and performance, Nucl. Instr. Meth. A881 (2018), 88).